Balaji acronym to Lord Hanuman, a Ultimate Devotee of lord Rama. Lord Hanuman is mightier God. “Aarti Keeje Hanuman Lla Ki” is famous aarti song of him. 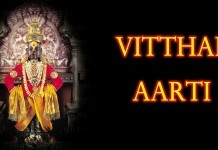 Another great aarthi of Mehandipur Balaji is “Jai Hanumant Veera” . Bala Ji ki Aarti in Hindi and English below. 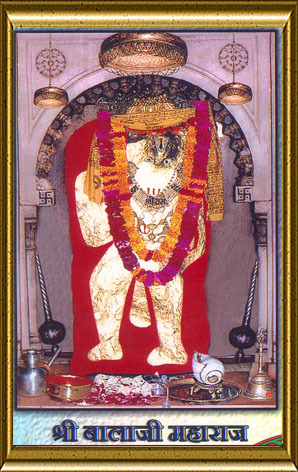 The Mehandipur Balaji Mandir (Hindi/Rajastani: मेहंदीपुर बालाजी मंदिर) located in the Indian state of Rajasthan is a mandir dedicated to the Hindu God Hanuman. The name Balaji is applied to Sri Hanuman in several parts of India because the childhood (Bala in Hindi or Sanskrit) form of the Lord is especially celebrated in those parts. Adherents believe that the deity in the Mehandipur temple has divine powers to cure any person possessed by evil spirits. It is also believed that Shri Bala Ji Maharaj saves His devotees from unfavorable grahadashas (planetary configurations). According to legend, the present-day forms of the “Divine Trinity” found in the Mehandipur Dham appeared around 1,000 years ago in a valley amidst the hills of the Aravali Range. Shri Ganesh Puri ji Maharaj, who was the 11th mahant of this pilgrimage center used to say that this area was covered by a thick and dense forest, full of wild animals, once upon a time. One of the ancestors of Shri Mahantji had dreams in which Sri Balaji Maharaj had indicated three divine deities and a magnificent temple. He had also heard a divine voice ordering him to get up and be prepared for Sri Balaji Hanuman’s duty. He was unable to see anyone initially but after years of “Sadhna”, Lord Sri Balaji finally appeared and showed him the place in the forest where the temple and the three divine forms were found. Sri Mehandipur Balaji Temple is in Dausa, Rajasthan. 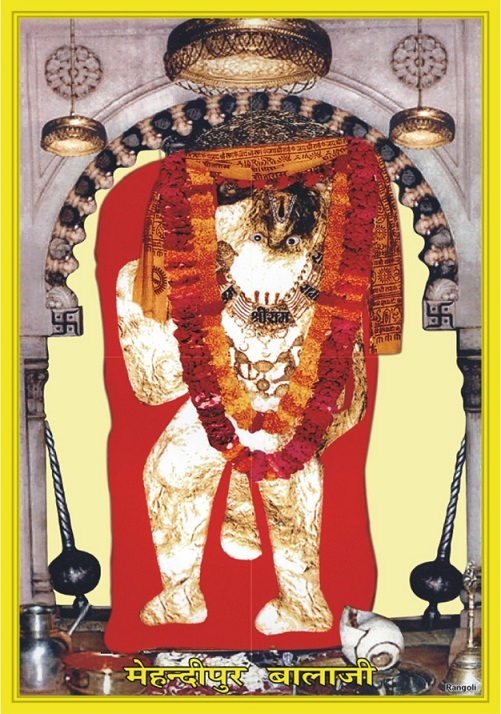 Basically Shri Mehendipur Balaji Temple is Lord Hanuman Ji’s Temple. Long ago the image of Lord Balaji and that of Pret Raja (the king of spirits) appeared from the Arawali hills. Now people suffering from malignant spirits and black magic or spell get their relief when they make an appeal for relief to Shri Bhairav ji and Shri Pret Raj Sarkar who holds his court and awards punishment to the malignant spirits, ghosts, goblins, ghouls, evil eyed witches, etc. Shrine of Balaji, Court of Pret Raja, Pooja griha, Bhairav ji temple and Ram Darbar are some of the spots worth seeing here.